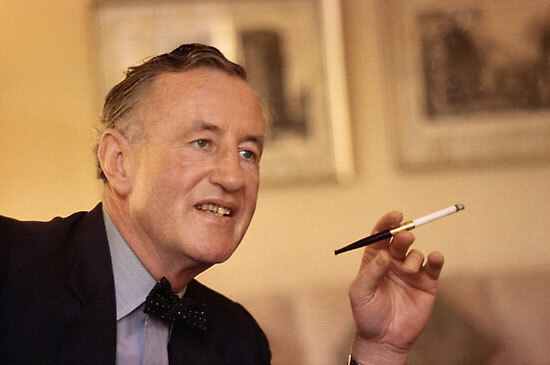 Ian Fleming was born on this day, May 28th in 1908. After serving as assistant to the Director of Naval Intelligence in the Admiralty during WWII, Fleming became the manager of foreign correspondents for Kelmsley newspapers, owners of the Sunday Times and other papers. His job offered him three months off a year to spend time at his Goldeneye retreat in Jamaica. In 1952, he sat down and created the first James Bond novel, Casino Royale (published in April, 1953). Where some writers aim to tug at the heart or stimulate the brain, Fleming confessed that the target of his books lay "somewhere between the solar plexus and the upper thigh." Ian Fleming has been a great inspiration to me all of my life, both for his genius invention and as a role model as a writer. Fleming established a disciplined writing routine that he later described in an essay called How to Write a Thriller. At Goldeneye, he would write for three hours in the morning, then for one hour between six and seven at night. Fleming would not edit or revise as he went, allowing the words to flow naturally. By the end of six weeks, producing at four hours per day, he would complete a solid draft of each new novel. Fleming would eventually publish fourteen 007 books, as well as Chitty Chitty Bang Bang, The Diamond Smugglers, and Thrilling Cities before his death in 1964. Before agent 007 hit the big screen, Fleming's novels were serialized as a comic strip in England. Beautifully drawn and adapted directly from his writing, many prefer the comic as a graphic version of Fleming's vision. The strips have been reprinted by Titan Books. In addition to the James Bond movie franchise and Chitty Chitty Bang Bang, Ian Fleming himself was the subject of two TV movies: 1989's Goldeneye with Charles Dance 1990's Spymaker: The Secret Life of Ian Fleming, starring Sean Connery's son, Jason Connery. The next generation passion for his story continued this month with the announcement that Duncan Jones (son of David Bowie) will direct a biopic about Fleming's life. There is also a biopic in development that has Leonardo DiCaprio attached. Inspired by Fleming, I have been working on new book projects. I will announce details soon, but I can tell you now that one will be an ebook anthology that Paul Bishop and I are creating for an October release. Get ready for some thrilling 1960s spy action! 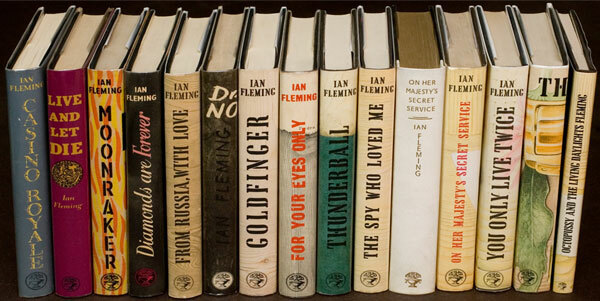 See Spy Vibe's posts about Fleming First Editions and the upcoming Fleming Bibliography here. 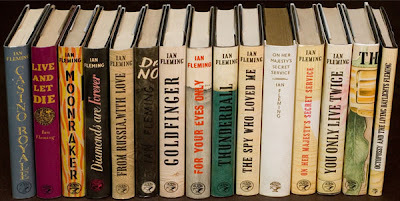 Read about Ian Fleming's publications, and the official James Bond authors who followed him, at the Commander Bond Network. Learn more at the Ian Fleming website. You can find his books and other spy treasures in Spy Vibe's secure Amazon Store.